BECCA’s award-winning Shimmering Skin Perfector (it scooped 'Best Highlighter' in Glamour's 2018 Power List) is a buttery pressed powder - a velveteen illuminator that bestows a stunning, backlit lustre without any tell-tale glitter. Like 'soft focus' lighting in a compact, the innovative creamy texture features ultra-fine, multi-toned pigment pearls which adjust to skin’s natural undertones, so you look luminous in any light (it’s the perfect foil for dullness and signs of fatigue). Just dust over cheekbones, or apply all over your face for a beautiful, diffused finish. Choose from 14 flattering colours - 'Vanilla Quartz' (white gold with warm undertones), 'Pearl' (pale, silver-toned pearl), 'Lilac Geode' (holographic lilac-rose), 'Opal' (golden, peach-toned opal), 'Champagne Pop' (warm, ultra-flattering golden champagne), 'Rose Gold' (golden rosy pink), 'Moonstone' (pale gold), 'Topaz' (golden, copper bronze), 'Prosecco Pop' (warm gold), 'Rose Quartz' (universally flattering pale pink with soft gold pearl), 'Chocolate Geode' (rich chocolate brown with gold pearl), 'Spanish Rose Glow' (a dusty rose with holographic champagne pearl), 'Ocean Glow' (swirled together to create a soft sun-kissed, cool rose) and 'Year of the Pig' (a soft, peachy pink with gold and silver pearls). Please be aware, that because Pearl has no pigment, the weight is slightly less at 7g, whereas all other shades are 8g. The size of the pan and quantity of product are consistent across all shades. This creamy powder luminiser is like 'crushed gemstones in a compact' – ultra fine and virtually weightless, to blur imperfections and grant skin an enviable, lit-from-within glow. Use to highlight the high points of your face, or as a ‘setting’ powder – dusted lightly on top of foundation to fix things in place and grant your complexion a subtle, ‘your skin but better’ effect. Creators of exquisite, high-performance make up formulations – with blendable textures and wearable shades – BECCA is synonymous with effortless enhancement. Multi-award-winning, the rich pigments, soft hues and weightless coverage make it easy to achieve an enviable, airbrushed effect – so you look naturally luminous (and absolutely flawless). With emphasis placed firmly on creating the perfect canvas, BECCA’s primers, illuminators and foundations blur together seamlessly, to help you achieve the ultimate, lit-from-within finish. Sweep across the face or apply to targeted areas including cheekbones, brow bones and bridge of the nose. Talc, Caprylic/Capric Triglyceride, Petrolatum, Silica, Boron Nitride, Nylon-12, HDI/Trimethylol Hexyllactone Crosspolymer, Isostearyl Alcohol, Cera Microcristallina/ Microcrystalline Wax/Cire microcrystalline, Dimethicone, Triethoxycaprylylsilane, Acrylates Copolymer, Polyethylene Terephthalate, Synthetic Fluorphlogopite, Calcium Sodium Borosilicate, Calcium Aluminum Borosilicate, Tin Oxide, Sorbitan Sesquioleate, Paraffin, Magnesium Stearate, Polyethylene, Tetrasodium EDTA, Potassium Sorbate, Chlorphenesin, Mica, Titanium Dioxide (CI 77891), Iron Oxides (CI 77491, CI 77492, CI 77499). Shimmering Skin Perfector Pressed in Opal (8g): Talc, Caprylic/Capric Triglyceride, Isostearyl Alcohol, Petrolatum, Silica, Boron Nitride, Nylon-12, HDI/Trimethylol Hexyllactone Crosspolymer, Cera Microcristallina/ Microcrystalline Wax/Cire microcrystalline, Dimethicone, Acrylates Copolymer, Polyethylene Terephthalate, Synthetic Fluorphlogopite, Calcium Sodium Borosilicate, Calcium Aluminum Borosilicate, Tin Oxide, Sorbitan Sesquioleate, Paraffin, Magnesium Stearate, Polyethylene, Tetrasodium EDTA, Potassium Sorbate, Chlorphenesin, Mica, Titanium Dioxide (CI 77891), Iron Oxides (CI 77491, CI 77492, CI 77499), Manganese Violet (CI 77742). Shimmering Skin Perfector Pressed in Moonstone (8g): Talc, Caprylic/Capric Triglyceride, Petrolatum, Silica, Boron Nitride, Nylon-12, HDI/Trimethylol Hexyllactone Crosspolymer, Isostearyl Alcohol, Cera Microcristallina/ Microcrystalline Wax/Cire microcrystalline, Dimethicone, Triethoxycaprylylsilane, Acrylates Copolymer, Polyethylene Terephthalate, Synthetic Fluorphlogopite, Calcium Sodium Borosilicate, Calcium Aluminum Borosilicate, Tin Oxide, Sorbitan Sesquioleate, Paraffin, Magnesium Stearate, Polyethylene, Tetrasodium EDTA, Potassium Sorbate, Chlorphenesin, Mica, Titanium Dioxide (CI 77891), Iron Oxides (CI 77491, CI 77492, CI 77499). Shimmering Skin Perfector Pressed in Topaz (8g): Talc, Caprylic/Capric Triglyceride, Isostearyl Alcohol, Petrolatum, Silica, Boron Nitride, Nylon-12, HDI/Trimethylol Hexyllactone Crosspolymer, Cera Microcristallina/Microcrystalline Wax/Cire microcrystalline, Dimethicone, Triethoxycaprylylsilane, Acrylates Copolymer, Polyethylene Terephthalate, Synthetic Fluorphlogopite, Calcium Sodium Borosilicate, Calcium Aluminum Borosilicate, Tin Oxide, Sorbitan Sesquioleate, Paraffin, Magnesium Stearate, Polyethylene, Tetrasodium EDTA, Potassium Sorbate, Chlorphenesin, Mica, Iron Oxides (CI 77491, CI 77492, CI 77499), Titanium Dioxide (CI 77891), Bismuth Oxychloride (CI 77163), Manganese Violet (CI 77742), Chromium Hydroxide Green (CI 77289), Chromium Oxide Greens (CI 77288), Ultramarines (CI 77007), Carmine (CI 75470), Ferric Ferrocyanide (CI 77510), Aluminum Powder (CI 77000), Yellow 5 Lake (CI 19140), Blue 1 Lake (CI 42090). I cannot get enough of this. You can blind people with your glow or go for a more natural sheen and slay every time. The pan size is big enough to last you a very long time, so it’s a great investment in your makeup bag! If you have pale skin, you need Pearl in your life. I have it in the pressed, poured and liquid versions as I love the shade so much. It’s the prettiest icy white without looking glittery or chunky on the skin. 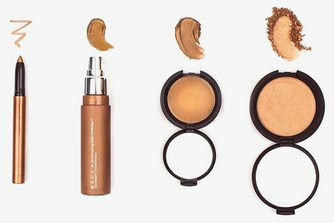 I am a highlighter junkie and I can easily say my Becca highlighters are all the best! Always get complimented on my glow when wearing them! I bought this highlighter in the shade Champagne Pop as a gift for my mom since I had literally the same shade of highlighter from a high-quality drugstore brand that I thought I was content with. I tried it on myself for my NYE makeup and I must say... The other highlighters can't even hold a candle to this one!! I have no idea what the exact difference between the two was, but Becca has clearly mastered their highlighters--the formula is amazing, and even after one swipe, you instantly start GLOWING. I have always wondered why my highlighter wouldn't be on point like most of the influencers'/bloggers'/celebrities', but now I know it all ends in the product. You won't regret buying this one, I promise! This is a really intense highlighter but even if you're not a fan of the typical Instagram way of a highlight you can wear it very decently. It just looks absolutely beautiful and combined with my Jeffree Star Cosmetics Skin Frost in the shade "Ice Cold" it has the perfect shade for my complexion and looks even more poppin'. But already on it's own you can make it poppin' and blind everyone! J’adore ce highlighter *** I love this highlighter. My favourite highlighter. I’ve used loads but nothing compares to how gorgeous this one is, can be subtle or blinding, not really glittery like a lot of them which I prefer. Great quality highlighter. LOVE it. A small amount of shimmers that last all night. Well worth the money and the 5 star rating. Definitely, my fave highlighter and is 100% worth the money. Can use the tiniest amount and STILL glows amazingly. I have these in Pearl, Moonstone and Champagne pop and I can’t get enough. For me personally, I hate glittery chunky highlighters so if you are like me you will like the formula of these. In my opinion, it is so worth the money! It's so beautiful. Blinding, really nice shade and an absolute staple. Long, long ago Becca was one of the first lines to include colours for everyone. The highlighter is no exception. Different hues for different skin tones. The thing that separates Becca highlighters from the rest (other than the colour range) are the textures. Soft. Buttery. Blendable. The ability to use as an eyeshadow as well as face highlighter. With 15 shades to choose from, there is something to suit everyone. Bravo. This highlighter is B E A U T I F U L! You need this in your life if you wanna glow! Definitely want to purchase more shades and more of the Becca range! Love these highlighters, champagne pop is my favourite and I have my eye on opal next. I have moonstone and it seems a little less intense which is OK but I do prefer a more intense glow. Really think champagne pop is the winner if you're looking to buy one to try. LOVE! Absolutely adore opal and champagne pop pressed highlighter. They are sooooooooo pretty, easy to use, have great longevity and each pan will last you forever because you really don't need much to look glowy and pretty. They are incredibly pigmented and creamy. Be careful not to drop it cos it will shatter (your heart). Champagne pop shade is everything if you have a tanned complexion as it is warm light amber shade. The hype is real about this product. can be a light glow using minimal amounts or an instant blinding highlight. Super pretty and glowing especially in the golden hour. Great for nose highlight, getting it snatched. Would repurchase, worth the money. This looks so luxurious on your skin - I am medium to tanned skin tone and Opal is perfect. glides over foundation like a dream without any slip or slide, and easy to top up later in the day. Simply gorgeous. I am pretty fair and it was so hard for me to find a good highlighter for my skin tone. Moonstone was my first Becca product and since then I added 3 more Becca Highlighters to my collection. But Moonstone is still my favourite. Would purchase it immediately again. Opal is perfect for tan to darks skin tones. You can build it up to intense glow or wear it as day time highlight. It doesn't have glitter but makes your skin glow. It's the best highlighter I found so far. I have Champagne Pop as well, which is really good, but I find that a little chalky on me. I ordered this highlighter in the shade Champagne Pop. It was a bit too glittery to my taste, but when applied with a dense brush and finishing off with a setting spray, it will melt down to the skin. Highly recommend, I get so many compliments when wearing this. I bought Vanilla Quartz and the packaging is so pretty <3 I haven't tried it out on my face yet but I think this colour will be matched for my fair skin tone as well because it doesn't too yellowish for me. One of the best formulas on the market. Best highlighter ever! I've used many other high end brands however always end up coming back to my Becca highlighter! The glow it gives is amazing without looking overdone. I bought the shade opal and honestly I don’t know if I just got a bad one but it was so chalky and looked as though I had a white smudge on my face I choose this shade because I’m as pale as it gets very disappointed with it. I received a special size of the “opal” shade in my goody bag and it’s so amazing with great staying power. I got the shade Opal and it is perfection. And so versatile. You can build it up to full intensity and have a striking highlight but you can also use a light hand and go for a natural glow, it is just absolutely stunning. As a highlighter junkie I've tried almost everything out there and I still keep this one close by at all times. The formula is sooo fine and silky, Glides onto the skin and gives such a beautiful glow <3 used wet and its brighter than a light bulb but looks as though its radiating from your skin rather than powder sitting on top. I use champagne pop and it is the PERFECT Shade for my warm medium skin tone, not too beige, not too gold. Opal is also beautiful but leaves a dark cast on my cheekbones so I use it as a gradient shade and blend it between my main highlight and contour. Obsessed with the finish. Defiantly a staple product for me. I really like it. It is stunning. Nice colour, great pigmentation and it lasts really long. I am from Germany, and I bought this fantastic highlighter on Cult Beauty. it gives me a healthy all day glow. Sometimes I wear it without makeup - only this. I have a dark golden undertone, it's perfect and looks natural. I own many highlighters but I always seem to come back to this one. I especially prefer to use this if I know I will have a photograph taken that day such as at weddings or events. It glides on beautifully and I barely have to dip my brush into it because of how pigmented it is. It works well with any kind of brush and even fingers will do the trick. It isn't chunky or chalky or glittery at all - just perfectly blinding with the most seamless finish. I love it. LOVE LOVE LOVE. Beautiful shade for any skin tone. I have a light/olive complexion and this gives a lovely bronzed glow, reminds me of being on holiday. I must be the only person who doesn't like this. I got it in champagne pop which is a beautiful colour with nc40 skin tone, however it takes so many swipes to show any pigment, and it looks powdery, and hardly glows. I have these in Pearl, Moonstone and Opal. I use each of them a little differently. I have very fair skin, and the Pearl is perfect for under my eye area at the outer edge to brighten it up. The Moonstone is probably the most versatile and least detectable on my skin. It just has a natural looking glow. I only use Opal in the summer and it makes my skin look beautiful with just a little primer and concealer. I will definitely repurchase all three. I now have 3 of these and I adore them! Just recently I bought Opal. I always thought this was too dark as I'm very fair but it totally isn't, I now prefere it to Moonstone. I love the texture and glow of these, they are just so buttery and pretty much the only highlighters I ever use. I have two of these in pearl and moonstone and I don't regret buying either! I have very fair skin but actually prefer moonstone as it's more everyday than pearl (though I love both). I will say that if you don't like a strong highlight I would give these a miss, as though they are buildable they are extremely pigmented. I can't wait to try the poured version! I'm quite fair so selected pearl and did not regret it! The other shades are too dark for me, so I would recommend having a play in store if you can first. This gives the most amazing sheen. Be careful with this though. I dropped mine and part of the product broke off. I'm still using the rest though and haven't made a dent, it lasts for ages. I LOVE the shade Pearl for my fair skin, it's one of the only dramatic highlighters light enough for me. HOWEVER, I have owned two and both times I have opened up my makeup bag to find them smashed, and I am not rough with my makeup AT ALL. I just feel like the formula is too fragile, but the highlight itself is stunning. I got this highlighter after watching a youtuber using it, I am always amazed at how little you need and how well it goes on and looks. I use it with the Zeova fan brush and it goes on perfectly. I have the shade opal. I don't usually write reviews and I am generally hugely sceptical about the claims made by brands about beauty products, but after months of cancer treatment and feeling in need of a pick-me-up, I decided to give in to the hype and buy BECCA's opal illuminator. What a glorious product this is. It has totally transformed my appearance giving my skin a soft luminosity and 'just back from the beach' glow. I really really look healthy wearing this stuff! Pure magic in a compact. I ordered the Becca shimmering skin perfect or in opal and words cannot express what I saw. It totally blew me away. I have the Bobby Brown shimmer in bronze & have worn this for years but now......I have a new favourite. You only need a tiny amount to see a major effect on the areas highlighted. You really have to see it yourself to believe it! Moonstone looks beautiful on my extremely pale skin. Will last forever as well - it's a challenge to get through the whole pan. After seeing this highlighter raved about everywhere, I finally bit the bullet and purchased opal (and champagne pop) as a treat for acing my exams. I feel like I have to mention the size because i was surprised at how small they actually were in comparison to pictures online. however there is enough product to last a long time as the smallest amount goes a long way. I love these and will definitely be purchasing moonstone pressed and opal liquid this summer. First of all Cult Beauty's shipping speed is insane fast!!! Thank you so much!!! Beautiful highlighter I got it in Moonstone and it's perfect for my fair/medium skin it's so glowing on my skin but not glittery like from within!! Absolutely love it!! I got opal because I felt it would suit my medium deep skin tone best and it matches perfectly, it glowy without being shimmery or glittery which unfortunately the ABH one that I got looks on me. I'm very happy with this one, it is pricey but it is worth it and I hope it doesn't shatter. I purchased this highlight in Opal and my GOD...it looks so gorgeous on my mixed race skin! I like my makeup quite natural and was worried it would be too intense, but it's very blendable and soft. Other reviews on here have stated the product itself is fragile but I've had no problems, just keep the bubble wrap and box and pop it in there when travelling. I've got my eyes on the liquid shimmering skin perfector next! I got the holiday set that contains liquid and pressed Opal from Cult Beauty. I'm gonna have to purchase the full size because Opal is such a unique and pretty shade even for my fair skin. I always thought it would pull a little bronzy and deeper on me but no,just perfect. Champagne pop pulled quite dark, yellow and dull on me though so I regret purchasing it instead of Opal in the first place. Opal is more like Hourglass Dim Light powder on steroids. In fact, I pair them for a mesmerizing look. I purchased both moonstone and rose gold - I loved of them.They are very pigmented and have buttery texture. You really need to have a light hand when putting them on as they can accentuate pores on the skin. Moonstone creates a lovely glow on the cheeks may be suitable for fair to medium, medium tan skin tones. I think rose gold may suit all medium to dark skin tones it is beautiful too...I have loved all Becca highlighters, can't wait to purchase Opal when it's back in stock! Looks scarily glittery when opened but dissolves into a soft glowy hue when applied on face. Can put it all over with a very soft large powder brush to give a soft finish & also applied as a blusher & highlighter with more dense brushes for more pigment on the cheek area. I started off with moonstone but then bought all the colours as loved it so much ! Absolutely stunning product it looks really scary dark in the package when when applied its a dream. I bought the shade rose gold. My new holy grail highlight! I got the shade Moonstone as I'm pale and I love it. It blends beautifully and it looks like the angels are shining there light on my cheek bones. Pricy but perfect. Nothing beats these highlighters! I am a known highlighting junkie and own SEVERAL. But these becca pressed shimmering skin perfectors are the ONLY ones I am always reaching for. I have deep tan skin and rose gold, opal, topaz, champagne pop suit me beautifully! Firstly I purchased champagne pop, which I fell in love with just from looking at it, before I even got a chance to use it. Then it was opal and moonstone which I had high expectations for after champagne pop, however I was very disappointed by moonstone as it was very sheer and definitely not as blinding as the champagne pop and opal. It's a gorgeous highlighter overall, but after trying out a few shades they do differ not just by the colour, but by pigmentation also. The best highlighter I’ve ever used! Not many reviews for this colour, but it is beautiful on deeper skin tones. Really pigmented so a little goes a long way, and very flattering. It’s more bronze than topaz but still quite golden if that makes sense. The only potential gripe with the product is that it could be even more buttery and finely milled. That being said - it is very blendable and smooth just there’s room for improvement seeing as it’s so expensive. I got this when they were doing 30% off Becca products, ordinarily, I do not think I would pay full price for this. I’m a HUGE make up lover and I own over 20 highlights but this is hands down the BEST highlighter I’ve ever used! The good quality that Becca always has. It’s the colour that I expected for sure... not a dramatic shine though if that;s what you're looking for. Un producto increíble!! Aporta una luz magnífica y los contrastes son entre azul y rosa, no existe nada parecido! *** An incredible product! It brings a magnificent light and the contrasts are between blue and pink, nothing similar exists! This is by far the best highlight I have ever used, so pigmented and blend into the skin so easily. Worth every penny! Hästi tore! *** Very nice! The best highlight ever. Little goes a long way. Worth every penny! The new Chocolate Geode colour is absolutely gorgeous and gives Afro-Caribbean complexions a stunning but natural looking glow. The highlighter shimmers without being over the top and glittery and its smooth, creamy texture feels comfortable and lightweight on the skin. The hefty price tag makes this product a bit of an investment but because it’s such good quality it’s definitely worth it. The compact has a mirror and the highlighter is very pigmented, so a little goes a long way and should last a good while. I find I get the best application when using a fan brush and highly recommend it for anyone who wants that natural glow from within look, all year round. The only downside is that Becca doesn’t make Chocolate Geode or Topaz in a handy travel size along, as the regular size is a little big for travelling with. Fingers crossed that changes. Best highlighter ever, best one I've used so far defo worth every penny. Super pigmented glides on so easy. I bought the shade opal last year as a present to myself for my birthday and absolutely loved it so this year I decided to treat myself to champaign pop for my birthday. I have quite a fair skin tone but both work well for me. Opal is slightly pinker and champaign pop is slightly more golden so depending on what makeup tones I'm going for that day will choose accordingly. This highlighter can be subtle and blended out to be more natural or it can be built up to be blinding. Overall if you are thinking about getting one do it because you will not regret it. Soooo gorgeous and easy to use. Yes, it’s pricey but you get A LOT of product which is of a very high quality and will last you a very long time. My absolute favourite highlighter. I'm very pale and was looking for a white highlighter; I don't want a white highlighter with a pink shine, or icy blue sheen, etc. and Becca delivers. This highlighter is so finely milled, applies and blends beautifully and lasts all day. One compact lasted me two years and I repurchased without hesitation. This was my first ever Becca product, and after reading reviews and seeing swatches I couldn’t wait to try the champagne pop shade. This nightlight is such a beautiful shade. Doesn’t make your face look cakey or like your eyeshadow has dropped down onto your cheeks. Easy to build if you’re wanting that blinding highlight or just a subtle glow. I held off on buying one of the Becca highlighters for so long because of the price, but I wish I’d bought one sooner. I purchased moonstone and I’m amazed, my skin looks so radiant whenever I use it. As soon as I tried this I immediately ordered another in the shade champagne pop. Best highlighter ever, it applies like a dream. Not too shiny, not too subtle. Just wonderful! Stunning. I've also converted a couple of friends to this shade too. The shade is on the cooler shades of highlighters but suits my NC30 skintone and goes with almost any make up look! I wouldn't be without this now. I love this highlighter, I bought opal and it just gives me such a nice glow! It's not too in your face, and I like that's its a pressed product, there is hardly any fallout, and just applies like butter on my skin! I was impressed with this product, as having very fair skin I was concerned the gold colour may be too dark, however it turned out being the perfect shade. However, I would have liked it to be a little more 'blinding', as I have found I need to use rather a lot of product to achieve a visible glow. As a fair skinned person it is hard for me to find a highlighter that doesn't leave a strange cast of my cheekbones. Pearl is the perfect shade for me and catches the light perfectly for what I want in my highlighter. I also really like that it can be used dry or wet depending on the intensity you want. Really really pleased with this purchase and will definitely be re-purchasing. I really like this highlighter, I bought opal, champagne pop and moonstone! And all of these are really amazing. My favorite is opal it’s good for all skin tones and makes your face look very fresh! Becca cosmetics are number 1 for me! I got prosecco pop shade as a sample and it is the best highlighter I've ever owned. Very pigmented, long lasting and smooth. Recommend for sure. If you don't know what color to get then get Opal and this baby will last you a while. Great formula and worth your money. I have pale skin and was quite scared when I ordered the shade opal just because had similar lighter shades from other brands and wanted different. Glad I went for it, I am absolutely in love, it blends so easy and gives me such a gorgeous glow. Worth the money. This is the best highlighter I've ever used!!!! I bought opal about a year ago, some people may argue that it's too expensive but my response is it's lasted a good year and and the quality of the product is amazing.. the glow!!! The glow it gives you is like no other. I wear mine every single day and I'm not shy when putting it on either! It's lasted me so long, the texture is beautiful. Easily glides on and leaves that blinding glow. I can not rave about this product enough it's amazing, I used opal which is the most beautiful shade. You will not be disappointed.. well worth the cash! I wish I could thank becca cosmetics personally, that's how much I love this highlighter they have got it so right and it gives me life when I apply my highlighter I'm that in love with it. Thanks becca cosmetics. I have very fair and pale skin so it's quite unbelievable that anything could actually ‘light it up’ but this highlighter does. I find it’s best applied using my fingers, actually. It is quite white, so if your skin tone is not pinkish-pale then this will probably be too white for you. But it’s absolutely fantastic that there is a product out there that can bring shimmer and glow even to pale skin. And it stays on for the entire day. Pearl doesn't live up to expectations.. I have this in Moonstone which is gorgeous and amazing in every way, and even suits my super pale skin tone. I bought Pearl hoping that a white/silver would be even more complimentary on me than the gold of Moonstone. Unfortunately, while beautiful in the packaging, Pearl does not sit the same on the skin. It has a lot more glitter in it and for some reason just doesn't glide onto the skin very nicely, even using the M310 brush which works wonders usually. With all this complaining though, I can't deny that the colour (or lack of!) is lovely; it just doesn't compare to the quality of the other shades. I do feel like I've wasted my money on this one. I'm probably only person disliking this product. I don't know if I just got one from bad batch. I tried to make it work in several ways, no difference. Highlighter hardly shows up, is extremely powdery with huge kick off and emphasize skin texture without any noticeable glow. Disappointment for me considering its price and the hype. 2 stars only because of packaging. OMG this highlighter is to die for!!! I totally understand why people are obsessed with this now! It's absolutely beautiful and I would recommend this to everyone. It's definitely worth the price! Perfect highlight! Just a few swipes and you'll glow like a diamond! Definately worth the hype! I originally brought champagne pop - massive Jaclyn fan and the colour looked amazing. For the summer time, this shade was perfect but found it looked a little too golden for my pale winter skin so I decided to go in for a slightly lighter shade. I did not intend to get pearl (I wanted moonstone but it was all sold out!) but I'm so glad that I did. Used with a fan brush this pale shade gives the perfect lit from within glow. I won't lie - unless you're porcelain white, you can't pack pearl on as you will look ashy. But used lightly this shade sheers out beautifully and I've been loving adding it to the very very high points of my cheeks over a deeper toned highlight. I am a self confessed highlighter freak. I must have at least 20 creams/powders/gels (and of course that number just keeps on growing!) and this has to be one of my favourites. I use a huge LED-lit magnifying mirror for makeup and the first time I put it on, I was like, maybe the colour is too strong and the shininess unnatural? But when I flipped the mirror round to the normal side, and looked at myself in the sunlight I was amazed. It makes you look like you have totally glowy skin, not "highlighted skin"!! I am hooked and now want all of them. All. Of. Them! Beautiful colours with a great shimmer, can be worn natural or worked up for a brilliant shine. Moonstone is a must have and far outshines Pearl for me, even though I have very fair white skin. Moonstone has a natural glowy look while Pearl was more silver than white in certain lighting. Only four stars because I hate the smell of the product. I have this in Pearl, Moonlight, and Champagne pop. They are great highlighters. If you dust on the TINIEST amount, this may give more 'subtle' glow, but these highlighters are definitely more for a 'statement' glow rather than a 'natural' sort of glow. 1 pan would probably last you a lifetime. I haven't made a dent in mine for a few months. I was saving up for this and it's completely worth it. I got champagne pop and moonstone. Opal is next on my list. I'm so happy with the pigmentation and application of these! They're so perfect for day to day wear or to go all out. Love them! Ordered this yesterday & it arrived today! So happy with this product. This is very beautiful highlighter! Suits for my fair skin. Only need a little so this will last forever. I am obsessed with these highlighters, they're so creamy and buildable. I do avoid coming too low and doing the apples of my cheeks as if you have been blessed with great big pores like I have, highlighter is not your friend. I have pearl for my more cool tone make up looks and champagne pop for warmer ones, or I just do as many of the bloggers do and mix them! They are brilliant and last aggggeeessss. After obsessing over youtubers and bloggers I finally decided to bite the bullet and go for pearl (and champagne pop) and I can honestly say it is the best addition to my makeup bag ever. Pearl is perfect for my pale complexion, as problems in the past I've had with highlighters is that they make me look dirty, or ashy, this is like a glow from within, and totally buildable so you can be seen from the moon is that's the look you're going for. A few people have also asked what I'm wearing for my 'glow' when I wear this. invest, I can't wait to purchase Moonstone. This highlighter is absolutely outstanding. I was worried Opal would be too dark as I am light skinned with yellow undertones however it is absolutely PERFECT. It's completely buildable and you can get a highlight visible from space with this stuff - it's like liquid gold. Goes on like buttery, it's not cakey and it glides over Double Wear foundation which can sometimes be difficult to work with. If you are swaying whether or not to buy this trust me...you won't regret it ! After seeing this highlighter recommended a lot on YouTube, I decided to invest.. Now it's my favourite product! I use Opal as I'm fair but fake tan for the weekends, it looks perfect when I'm paler and after I've tanned. It's very buttery and even the smallest amount totally shines. I love my highlighters and this is my best one yet.. Would 100% recommend! This leaves an absolutley BEAUTIFUL shimmer on the skin! Looks quite natural also and almost seems to have no colour to it on the skin, just a lovely glow. It is however very fragile and mine broke up in the compact within a few days, and now dust escapes from around the edges and is quite hard to handle - so you'll have to be very careful if you plan to bring it around with you or in your makeup bag! It's so smooth and not chunky at all! So beautiful on my skin. I was looking for a highlighter that gave a very subtle sheen for that barely there look and this product is perfect! I think its how fine the powder is but its great. I would definitely recommend it! This was my first experience with Becca products in general and my first purchase on Cultbeauty.co.uk. First about the product: I Loooooovvvvveedd it. I have really fair skin and I use this "moonstone" to highlight my face and it just works wonders! It is very easy to use and I think that I'll have this for a while, because you don't need to use a lot of it. It stays on all day and is even great to use in the inner crease and browbone! 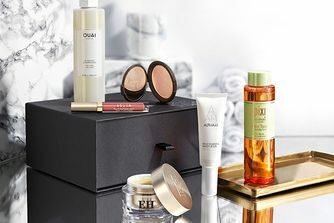 Now about cultbeauty.co.uk: I live in Denmark, so I was expecting a bit of a wait for my products, but they arrived sooo quickly. Great prices and selection! I am already planning my next purchase. I would die without this now! Ughhh where to start! I bought this as it was recommended on a beauty blog by Jacelyn Hill on Youtube...and boy am I glad I listened! This powder is literally to die for...obvz not if you like a matte finish to your facial work of art as explained in the product name "shimmering". I have very fair skin so I went for Moonstone...it seriously is great as a shimmery highlighter...very pigmented, so much so that I try to only use the little bits that settle on the mirror instead of actually dabbing into the palette. finishes off my look flawlessly and lasts ALL day! I am literally in LOVE with this!